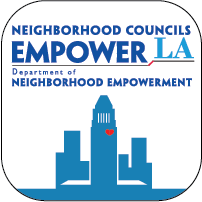 Purpose: An award given to a GWNC stakeholder(s) that honors a wide range of service, dedication or commitment to enhancing and/or improving the Greater Wilshire neighborhood. The nominee performed, created or developed an activity and/or public service (volunteer or other) that positively enhanced and/or impacted the Greater Wilshire neighborhood. The nominee contributed to the community through an act, achievement or service that directly or indirectly advanced the opportunities and/or benefited others in the Greater Wilshire neighborhood. The nominee has demonstrated a clear commitment and/or civic pride by performing an outstanding act or achievement or by rendering distinguished service to the improvement of the Greater Wilshire neighborhood. The nominee must be a stakeholder, child/dependent of a stakeholder, college‐enrolled child /dependent of a stakeholder or a student enrolled in a school within the boundaries of the GWNC.